SBUSD Education Foundation holding “Stars Under the Stars” Celebration to Recognize the People that have Made an Impact on the Students on May 2nd! Come celebrate what makes Imperial Beach and South San Diego Schools so special-The People! 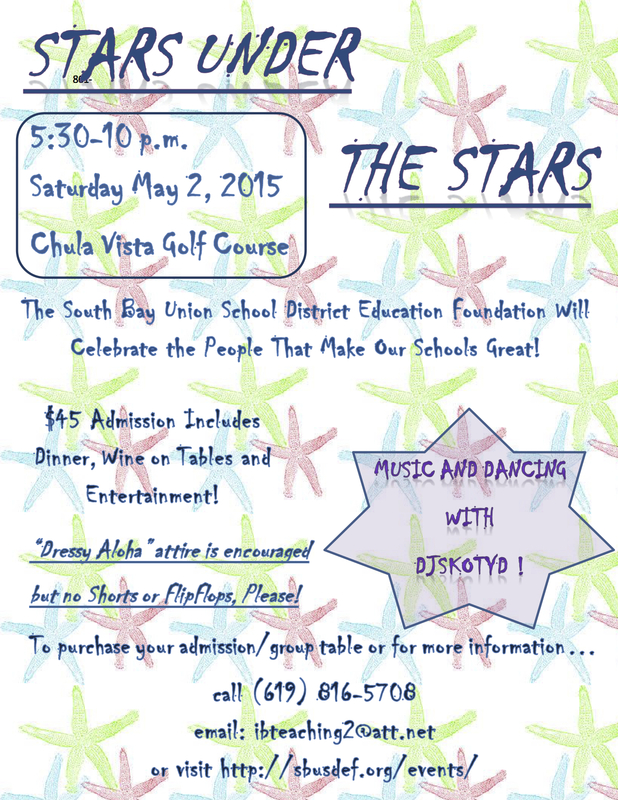 On Saturday May 2, 2015 from 5:30 to 10:00 p.m., the South Bay Union School District Education Foundation will recognize and celebrate the people that have made an impact on the students in South Bay. This is a fun-filled evening to share with friends and family at the spectacular Chula Vista Golf Course. SBUSDEF would like to thank SGI Construction Management for their generous donation.